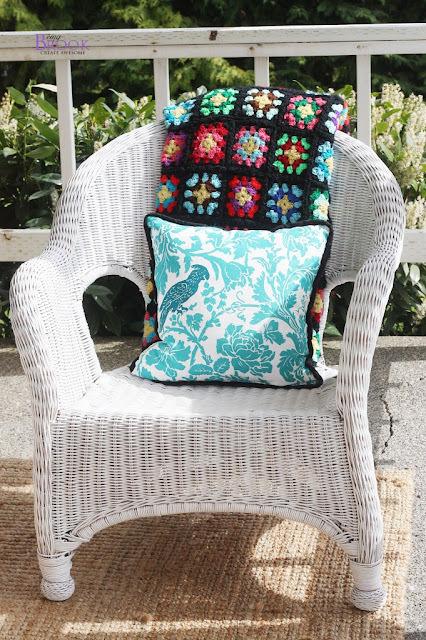 I've been wanting a wicker chair for my porch and love the texture wicker adds to a space but don't love the price tag on a new wicker chair. Strolling through my local thrift store I found this wicker chair for $15! It was dirty and the wicker on the legs was coming unraveled but I knew I could save it! I started by giving it a good scrub down on a nice sunny day. A vacuum and an old toothbrush can help get into the crevices. Then I let the sun dry it out completely. 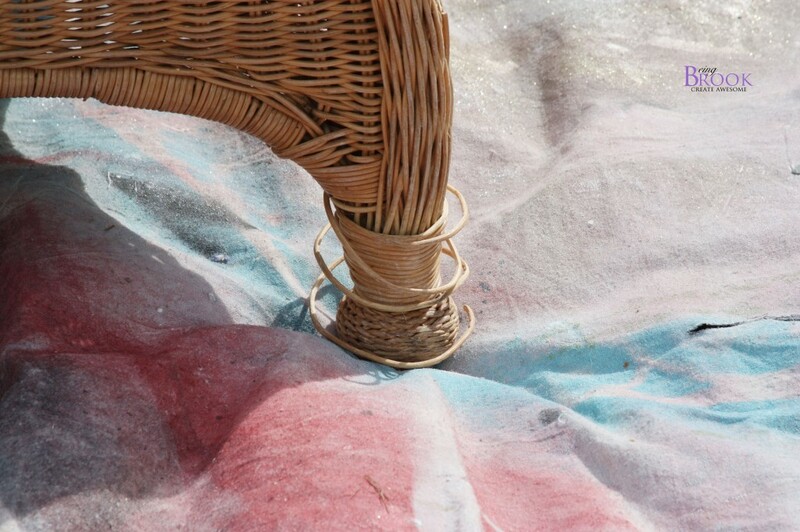 The legs were coming unraveled but luckily the wicker hadn't broken off. 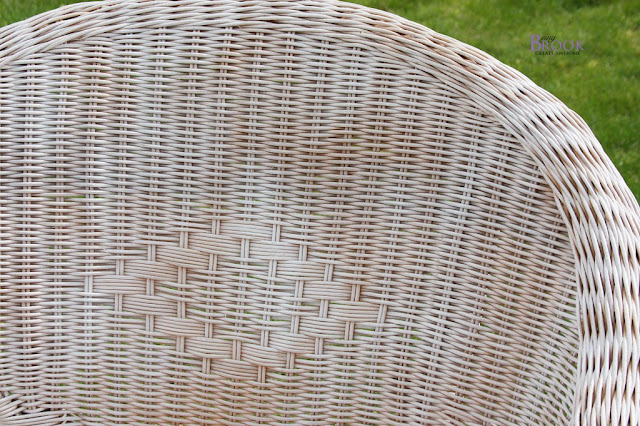 I used some quick hold craft adhesive to glue to the wicker back into place. 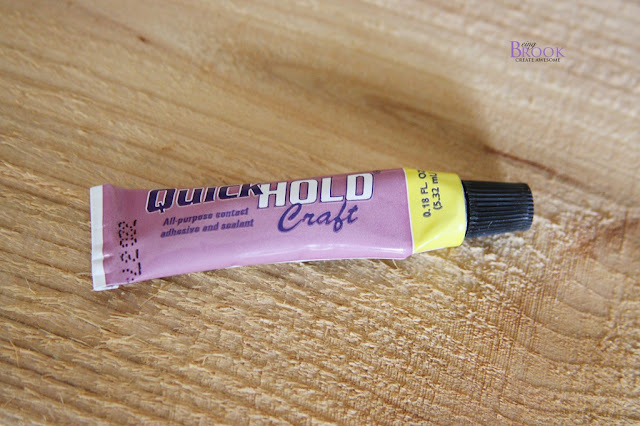 I chose this glue because it sets in a few minutes and it's waterproof. Once the glue had cured 24 hours it was time for spray paint. I chose Krylon White in Gloss finish. 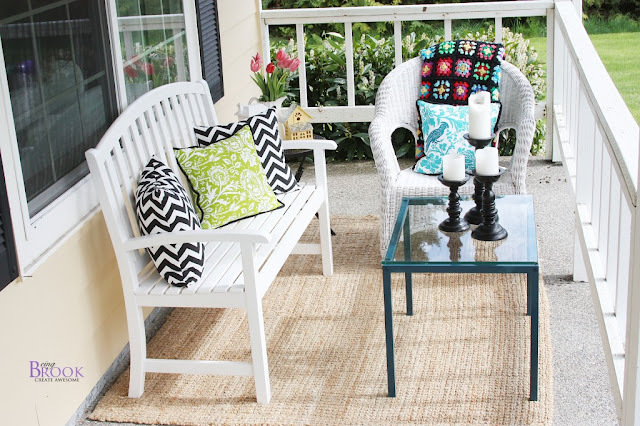 The gloss finish will make wiping the wicker down easier. The chair took three cans of paint. 2. Do many lightcoats at about 10-12 inches away. Trying to do a heavy coat leads to drips. 3. 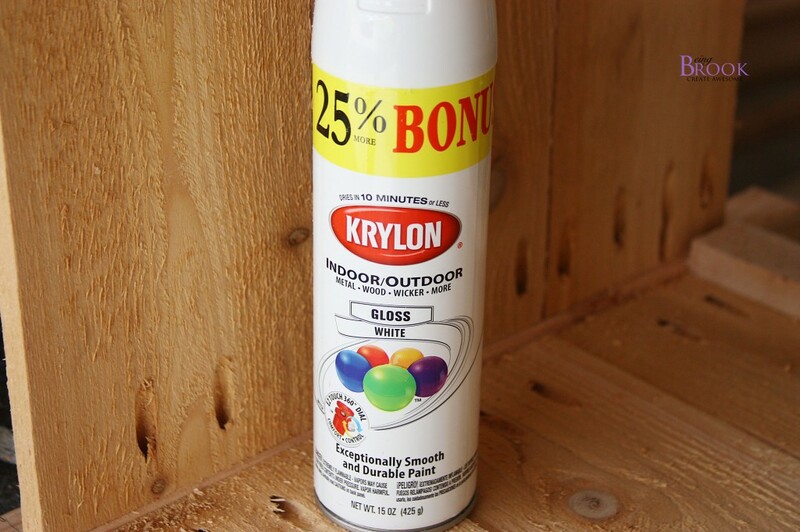 If you get a drip then wipe it off immediately and after it dries you can spray that spot again with a light coat. 4. If your finish isn't glossy and you have glossy spray paint then you probably need another coat of paint. The sheen will come once there is even coverage on what you are painting. After my first coat you could still see the wicker peeking through. That's totally okay and the best way to avoid drips is to do lighter coats of paint. The Krylon paint dries in about 10 minutes so you can do the coats of paint pretty close together. I try to spray paint on days that we are already out doing something in the yard. So I do a light coat and go pull weeds and then come back and do the next coat. Done!! Love my "new" chair. 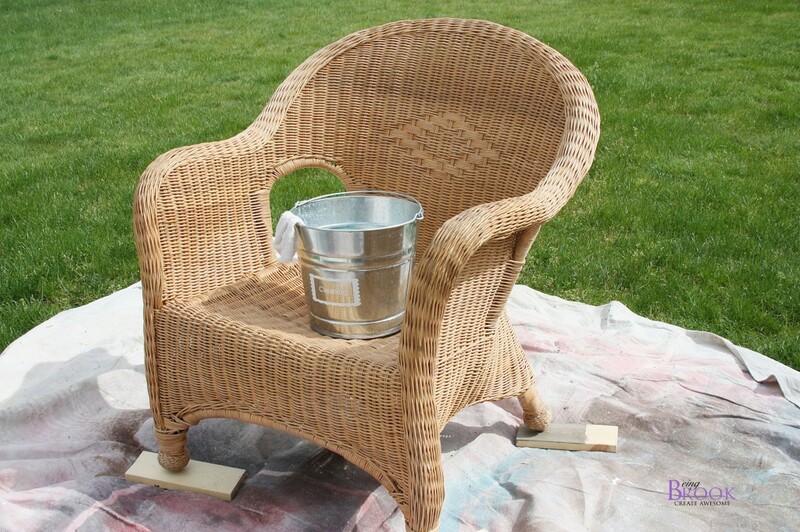 The spray paint was $3.50 for each can and the chair was $15 so I spent $25.50 total! My new front porch! The table was from the thrift store too and cost $5 and the white bench was an old one we've had for a while and I painted it to match my new wicker chair! Thanks for hanging out at my porch with me!